The Architecture, Engineering and Construction (AEC) industry is infamous for errors, omissions, overruns and spending substantially more money than budgeted, all of which could easily be prevented through proper communication, coordination and collaboration. This is such a wide-spread problem that in 2011 the UK Cabinet Office mandated the use of collaborative 3D BIM technologies on all public construction from 2016 onwards. This is where 3D Repo comes in. Our product is a multi-award-winning platform which has transformed how construction projects are designed and delivered, and how everyone involved in a project from architects and engineers to contractors can manage a large construction project. 3D Repo is a Software-as-a-Service (SaaS) platform for Building Information Modelling (BIM) coordination in the cloud. Our platform allows users to manage 3D model revisions and highlight potential issues using live collaboration tools, which enable the whole project team to work from a single source of truth any where and at any time. Instead of architects, engineers, and contractors sharing massive proprietary files in a costly and time-consuming manner, they can simply point their web browser to an encrypted cloud platform in order to examine each project stage virtually. 3D Repo is a multi-award winning spin-off from Virtual Environments, Imaging and Visualisation at University College London backed by Sussex Place Ventures, a £30m VC fund wholly owned by London Business School. The team has developed a cutting-edge SaaS platform, blurring the boundaries between 2D Geographical Information Systems (GIS) and 3D Building Information Modelling (BIM) online. Over the years 3D Repo have proudly received a number of awards and grants, and have also been involved in many high-profile public and private construction projects including London Olympic Stadium, Wood Wharf, Crossrail, and Smart Motorways. 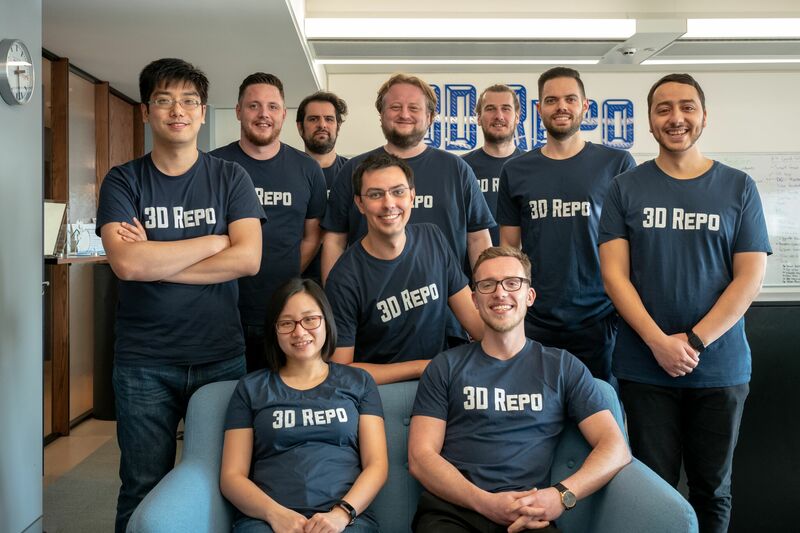 3D Repo has been named one of the Top 20 UK Tech Innovators by Growth Business and currently employs 10 full-time staff at its London headquarters in Paddington. Remove the technological barriers to collaboration in order to help create a better built environment.